Sudbury hopes to offer the program again next year. Stay tuned for details! 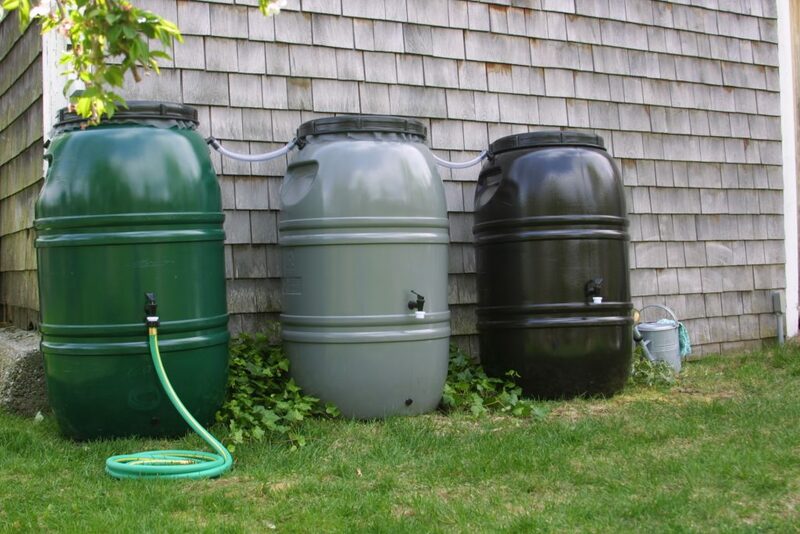 Through this program, rain barrels are available at a discounted price of approximately $70 each. 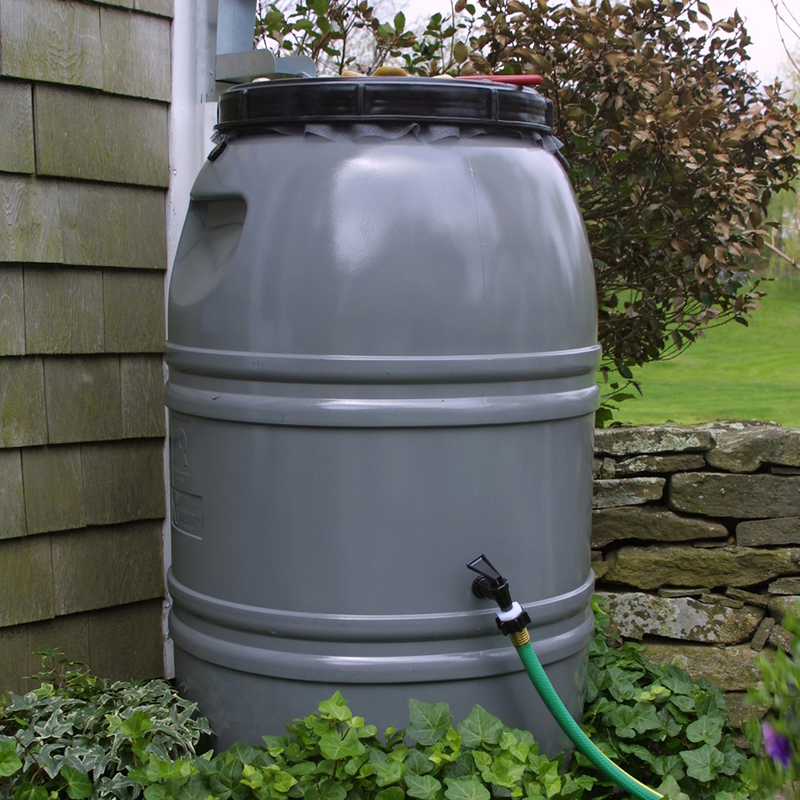 Optional accessories, such as a downspout diverter, and a variety of color options are also available. 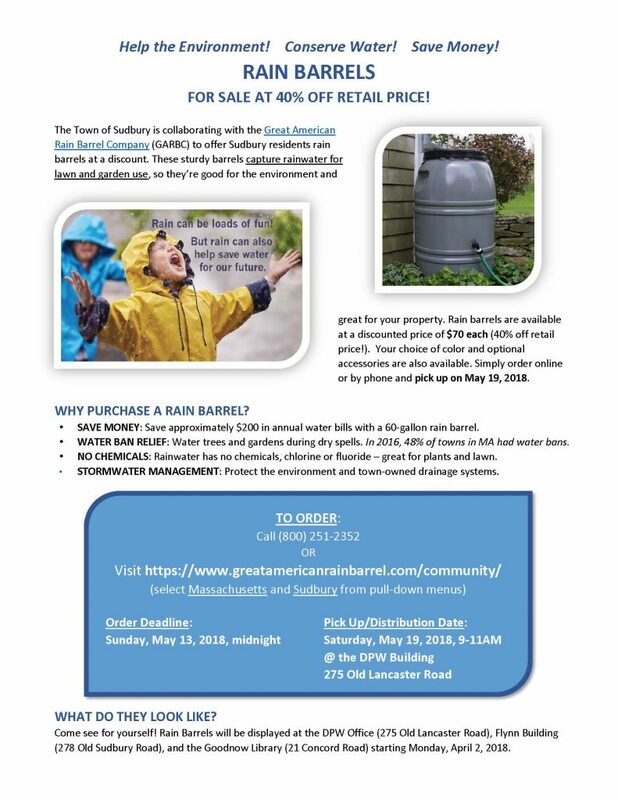 Interested residents may order the rain barrels directly from the TGARB website and then pick the rain barrels up at the designated Sudbury distribution day of May 19, 2018 at the DPW Building at 275 Old Lancaster Road. Orders must be submitted by Sunday, May 13th.